If one of your goals is to start a blog to help increase traffic to your creative business then you are making a great decision. 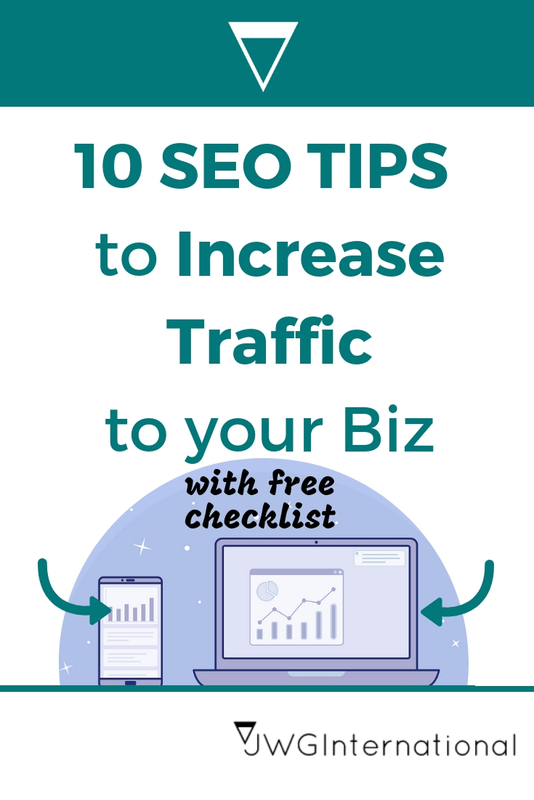 This post sharing SEO tips to increase traffic will help you start out of the gate with a good foundation when it comes to SEO & organic traffic. However, if you already have a blog and want to increase the traffic you already receive, the use this post to make sure you are doing or not doing all the points I share below is post is also for you. The only way Google and other search engines can find your content is thanks to keywords. More than likely you have used keywords when you use search engines to find something but just don’t realize it. The latter is called a long tail keyword and is more specific when used by the person searching. Using long tail keywords also helps Google and other search engines narrow down which content is more relevant to the user's search query. 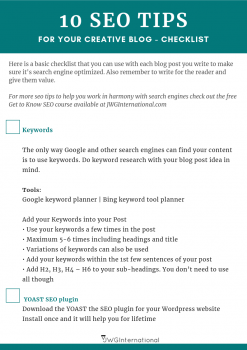 Add your keywords within the 1st few sentences of your blog post. Then in the 3rd paragraph and then the 6th and so forth. Add sub-heading to help break up your content and to help the reader flow through your content better. If you can make your sub-heading contain your keyword too that great but only if it works. For sub-headings use the H2, H3, H4.H5 & H6 to help Google & search engines find your headings easier & to help them understand your content better. Meta description: This part is to help those that see your post in the search results get a quick overview of what your post is about. You don’t have to worry about where to find it as in number 2 (below) I will explain there. Just remember a short paragraph to give the reader an idea of what they will help from your post, so they can decide if your post is for them. Use words that mean the same of your keywords but are different. This helps you use your keywords but in a different way. But the content will still be on focus. Using a thesaurus book or site will help in this area. Don’t try and add more keywords than is necessary. Firstly that is called keyword stuffing and Google dislikes that. Plus you still want to be writing for the reader as well as for search engines. So when you read your work and it sounds robotic and unnatural then you need to remove some keywords to help it flow better. Ultimately your post is created to help solve, inform or entertain the reader in some way. If you solely write for the search engines then your post will fail in this area. Yoast is a WordPress plugin that is highly regarded when it comes to helping you SEO your blog posts. It will help you place your keywords in the right places and make sure you don’t overdo it. Meaning it will help you to avoid keyword stuffing. In number 1 (above) I spoke about creating a short sentence in the meta description. Well, the Yoast plugin provides the space for you to add this in. Plus it limits you to a certain amount of characters, helping you to short and to the point. Now don’t worry thinking how will you know if what you doing or not doing its right. The Yoast plugin shows you an information insight panel in the sidebar of your post, along with a simple colour signal. Red means not good, Amber means it's ok, Green means it great. And with each colour, it will explain what you need to work on if it's red or amber. The search engines like the 3rd option more. If your links look like the 2nd option you are still ok. But if your links look like the 1st option go about changing this before you add any more content to your blog. 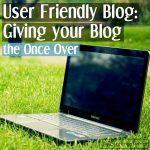 If your blog has been using the first or second option and you want to change it to the 3rd option, it will take a bit of work depending on how much existing content you already have on your blog. You will need to redirect all the old links to the new links. Download the checklist with bullets points for free. So you have it as a reference when you start creating your blog posts. If you are already a subscriber my creative friend can jump the queue and login into your get yours. Inbound links are when other people link to your blog content from their blog. The better the blog or higher ranking in Google’s eyes the better for you, as it boosts your blog posts and blog. When other website links to yours its kind of telling Google & other search engines that your content is good and deserves visibility in the search results. I can see the cogs working. Your wondering how to get this kind of links to your creative blog. Find blogs or website that are an authority in your niche and read some of their content and comment. Your comment will link back to your blog as you need to add your blog URL. Guest posting is another great way of getting some links to your blog. You create content for another blog and you get to add an author box which will contain details of who you are and your website which will include links. Your own content can gain links if it resonates with other so much so that they link to from their own blogs. Whatever creative niche you are working in write to help and add value and people will link to it. Forums share your knowledge and help others and in turn, get a link back to your website thanks to the signature section. The image on your blog can help convey what you want to say. It can also help break up your content just like sub-headings. However, using images you have to do a little more work than just adding an image. You want to save your images using your keywords as its file name, while it’s on your computer. So instead of calling it image12.jpg call it sewing-black-square-cushion.jpg. Add your keywords in the description, title, and alt attribute settings for your images. Try and avoid create heading or buttons with words as images. They may look are pretty but search engines cannot read the words on images. So your effort would be in vain. Stick to using the features of the theme to create any heading, menus or buttons so the search engine can read them correctly. A slow loading page will turn off a person waiting for it to load. Plus tells the search engines this site is not helping the user experience by waiting for it to load. How long have you waited for a page to load before giving up and leaving? Declutter your sidebars, use images no bigger than 800px wide if larger compress to keep the size but make it smaller in file size. If that s bit too technical just keep your images around 800px or small and you are ok.
A blog post should be at least 500 words long in length. However longer content can be better in increasing it’s ranking in the search engines. However, don’t make lengthy content if you are just filling space. Remember you are writing for the reader first and then the search engines. If your content is full of waffle the reader will know and leave your page. Get a lot of people doing the same action and this tells search engines that your content is not good for users and lower in terms of visibility. If your content is short but you get your point across then go with it, it’s about adding value to the reader first. You are helping the search engines find your older content too. When the search engines start crawling your site to see what content you have they go through your page. Then when they find a link in your post they follow that link to that post and so on. This is the quickest way of helping the search engines see all your content whether old or new. When linking to other posts, make it a relevant post that works with what they are already reading or the words you highlighted as a link is related to the posts it's linked to. Creating content on a regular basis is a great way to get the search engines always coming back to your blog. However, this is an area many fail in or get overwhelmed with. Stepping back and taking a look at the work you are doing in your business, to see how you can write about it for your blog. If it’s still overwhelming, consider speaking your content into your phone. Then listening to it later on and typing it up. Download the free checklist that goes along with this blog post for reference. So there you have it 10 SEO tips to help up your creative blog game this year. In the comments share which ones you will be adding your blog or which ones you were already doing?